Description: Conwy Castle is a medieval fortification in Conwy, on the north coast of Wales. It was built by Edward I, during his conquest of Wales, between 1283 and 1289. Constructed as part of a wider project to create the walled town of Conwy. 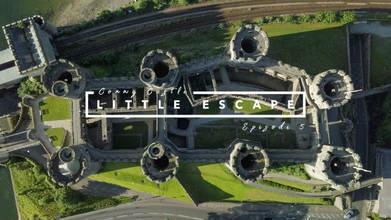 'Little Escape' is a series of short 1 minute films, capturing some unique & beautiful locations around the world. Take a sixty-second break and go on your very own little escape.